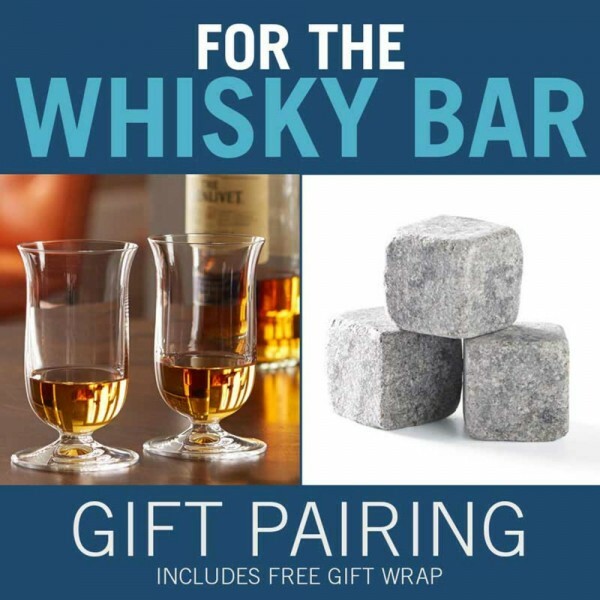 For the Whisky Bar Gift Pairing (p/n 16652) with free gift wrap. In 1992, a panel of Scotch whisky experts convened in Riedel's headquarters in Austria to test a range of 19 different glass shapes. The complex flavors of fine scotch whiskey merit a glass designed to bring out their best. Riedel Vinum has accomplished this after rounds of testing with master distillers. Elongated thistle shape on a truncated stem is ideal for maximizing the smoky and earthy flavors of malt scotch whiskey. Small, slightly turned-out lip directs the spirit to the tip of the tongue, where sweetness is perceived. Machine-made with over 24% leaded crystal. Why choose this over similar glasses? The size and shape of the glass lead to ease of swirling. 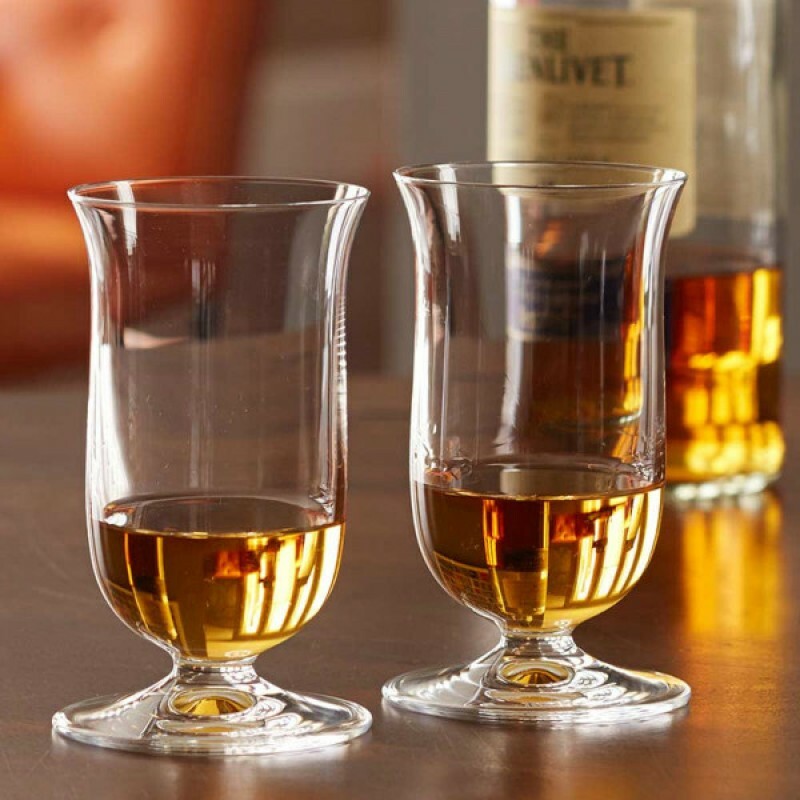 Whisky lovers report that this glass made a significant difference in their enjoyment. All natural Vermont soapstone whisky stones are a must have for lovers of fine whiskies and bourbons. 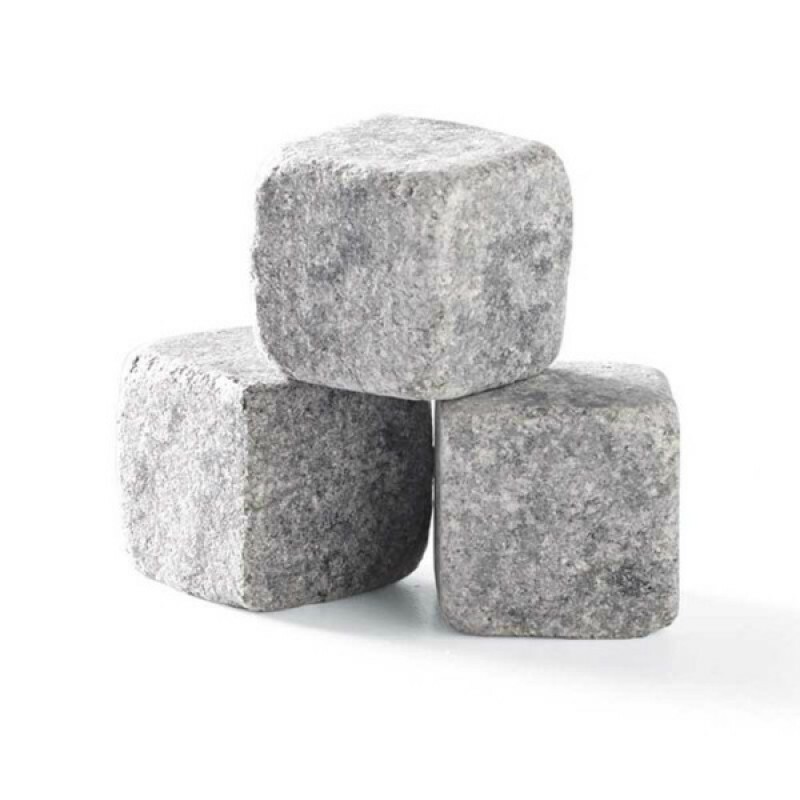 Milled from a very select type of soapstone, located only in Vermont, these large whisky stones are handcrafted in some of the oldest soapstone workshops in the US. Scandinavians have used granite rocks for this same purpose for hundreds of years, but soapstone has superior thermal properties and being mostly composed of talc, won't scratch your glass. Each stone measures approximately 7/8 inches square. Includes 9 stones and a muslin storage bag. Store in your freezer for at least 4 hours. Add the stones to a glass. Pour until liquid has reached the height of 1 stone. Enjoy fine scotch whisky with exquisite Riedel Vinum crystal and all-natural soapstone whisky stones from Vermont. 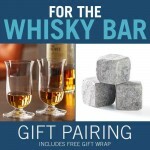 Gift set includes 2 Riedel Vinum stems, 9 whisky stones and free gift wrapping! While supplies last.